Vladimir Putin on a two-day visit to India signed a $5 billion deal to procure Moscow’s most advanced air defence system, the S-400 Triumf, risking US sanctions. 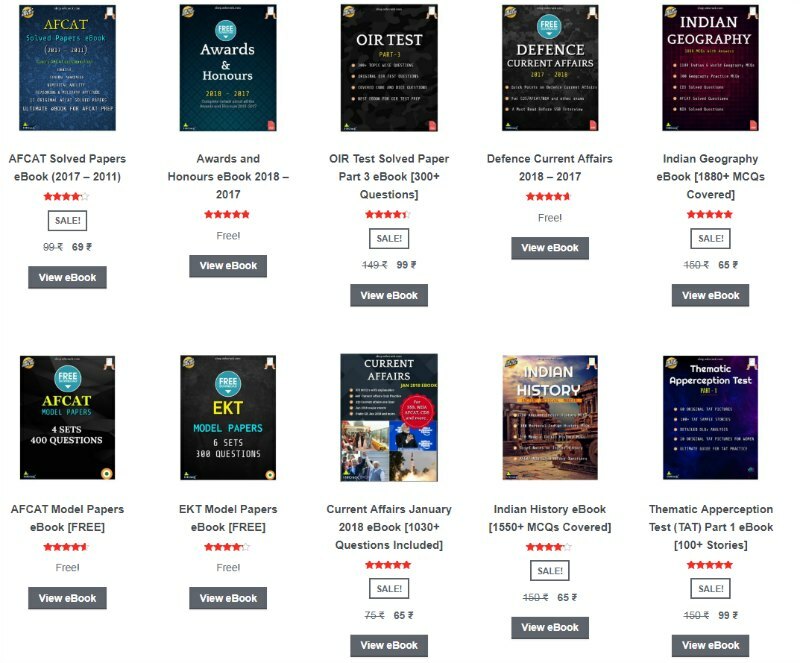 The Indian Russian s-400 Missile deal is one of the most talked defence deals ever and candidates preparing for the various competitive exams, group discussion and interviews must read and understanding few important pointed related to Indian-Russia s-400 missile deal. The S-400 is one of the world’s most advanced long-range air defence systems, capable of destroying cruise, ballistic missiles. S-400 radar can track targets 600 km away. 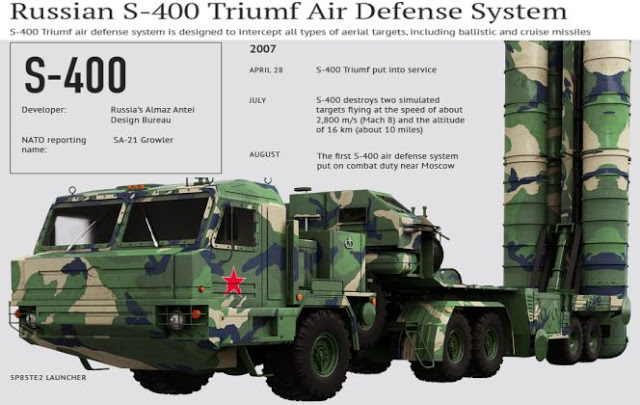 Manufactured by the Russian government-owned arms company Almaz-Antey, the S-400 Triumf is known as the SA-21 Growler by the North Atlantic Treaty Organisation or NATO. It has been in service in Russia since 2007. The Air Force Chief BS Dhanoa said recently that S-400 would be like a “booster shot” in the Indian Air Force’s (IAF). India needs a missile system like S-400 to protect itself against neighboring threats. Pakistan has over 20 fighter squadrons, with upgraded F-16s, and inducting J-17 from China in large numbers. China has 1,700 fighters, including 800 4-Gen fighters. In October 2015, it was reported that India’s Defence Acquisition Council is considering acquire 12 units of S-400 for its defence needs. However, on 17 December 2015, it was confirmed that the final order will be for five units rather than 12 units as 5 are considered to be adequate for India’s defensive needs. The deal is worth US$5.5 billion. On 15 October 2016, on the sidelines of BRICS Summit, India and Russia signed an Inter-governmental Agreement (IGA) for the supply of five S-400 anti-aircraft missile systems and the final discussion of terms of the contract is underway as of 2 June 2017. 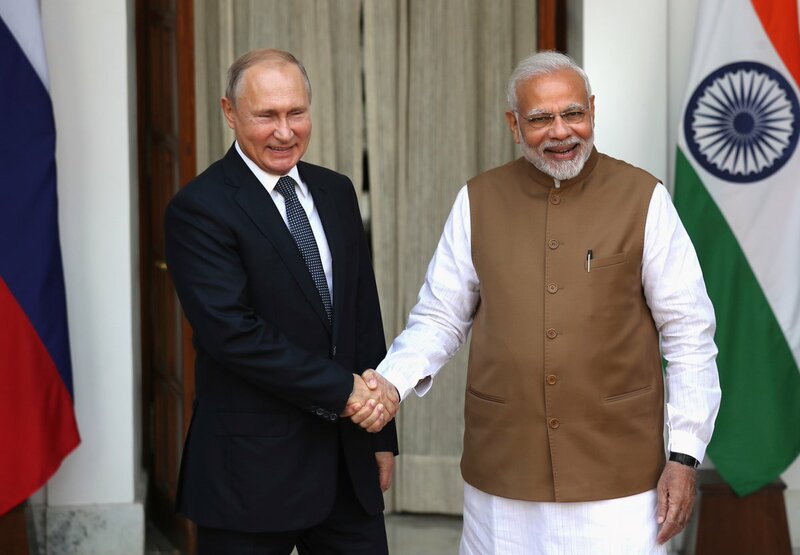 In April 2018, Russian and Indian media reported a deal was close to being reached, and the deal was expected to be signed before a summit involving the leaders of the two countries in October 2018. On 5 October 2018, during a summit between Prime Minister Narendra Modi and Russian President Vladimir Putin, India and Russia signed a US$5.43 billion deal for five S-400 missile systems. The deal was signed by the Joint Secretary of Land Systems from India and the Director General, Rosoboronexport of Russia. The deliveries will begin in 24 months, which is end 2020. 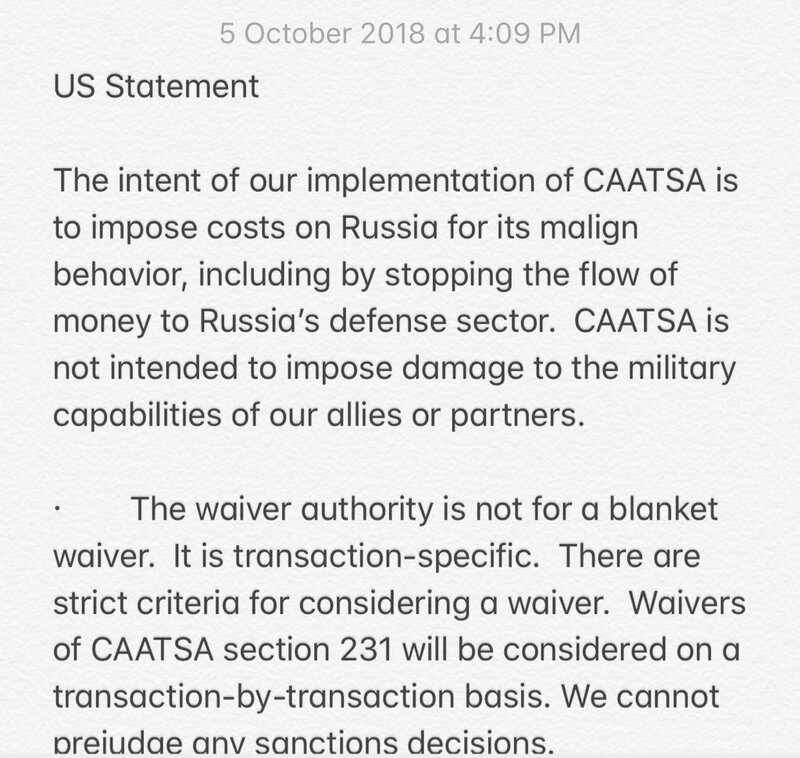 What is CAATSA and it’s significance with Indian Russian S-400 Deal? The United States had last year enacted a law for the implementation of certain sanctions on Russia. The US has urged all its allies to curtail relations with Russia’s intelligence and defence sectors. Under the new law, the US administration is required to impose sanctions on any country that has signed significant transactions with Russia, Iran and North Korea. China was the first nation to buy the S-400 missile system in 2014. Russia has already started deliveries of an undisclosed number of the S-400 missile system to Beijing. Last year Moscow signed a contract to sell the systems to Turkey. Other than India, Russia is also negotiating with Qatar to sell its S-400 Triumf. 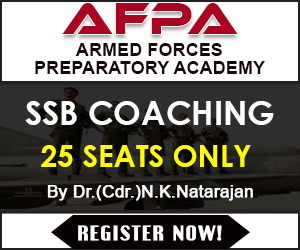 Previous Post Why is SSB Screening Test a Nightmare?